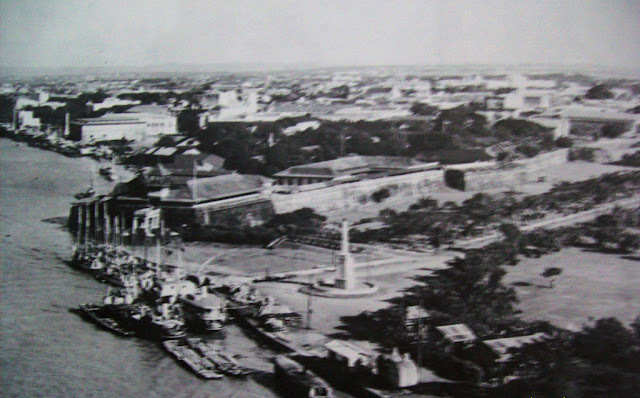 One of Manila's most underrated and sometimes forgotten monuments stands just outside the historic walls of Intramuros, overlooking Fort Santiago. A monument built as a form of gratitude to a Spanish governor-general who fought against the invading British forces. 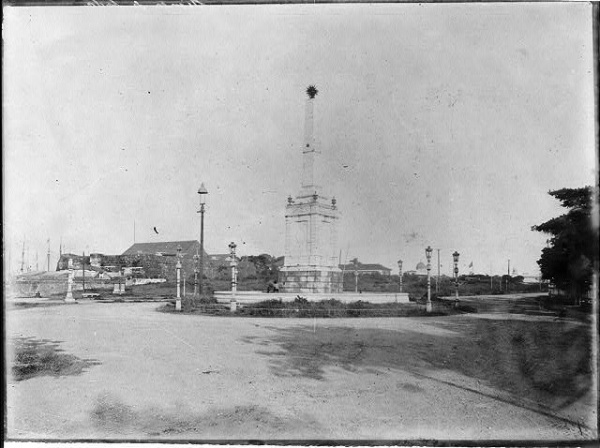 Anda Monument with Manila Cathedral's dome in the background. 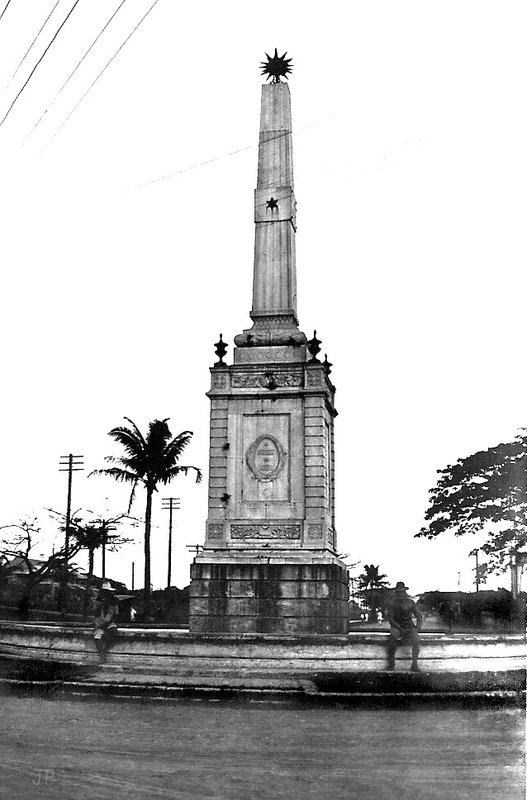 The Anda Monument is dedicated to the 41st Spanish governor-general (1770 - 1776) Simon de Anda y Salazar. 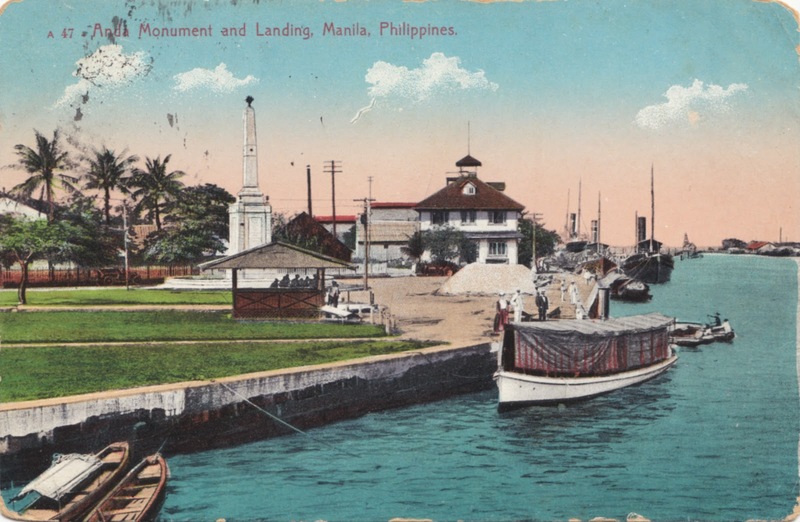 On October 6, 1762, Manila was occupied by the British as part of the Seven Years' War, a feud between the British and the French. 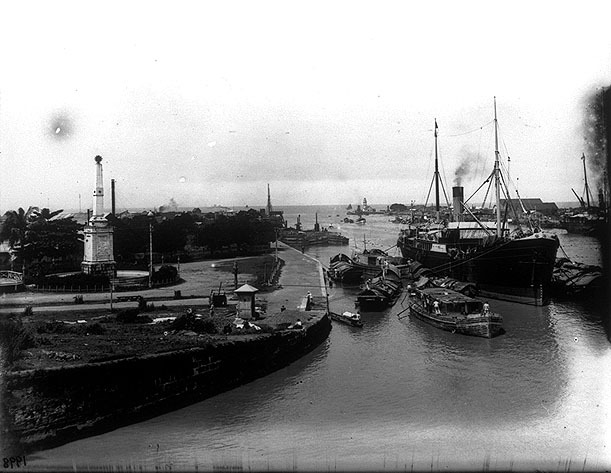 France's string of losses became a concern for the Spaniards, stating that France's continual loss could be a threat to Spain's own interests. Great Britain declared war on Spain earlier that year. 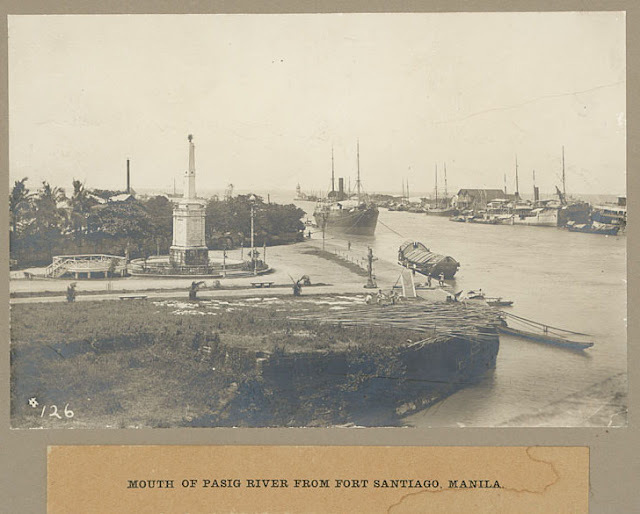 A postcard showing the Anda Monument from the Pasig River c 1910. Anda Monument with the bustling Pasig River and Fort Santiago. On October 4, 1762, the then Lieutenant Governor Simon de Anda fled with important government documents and half of his treasury to Bacolor, Pampanga. He set up a government in exile there while Manila and Cavite were occupied by the British. 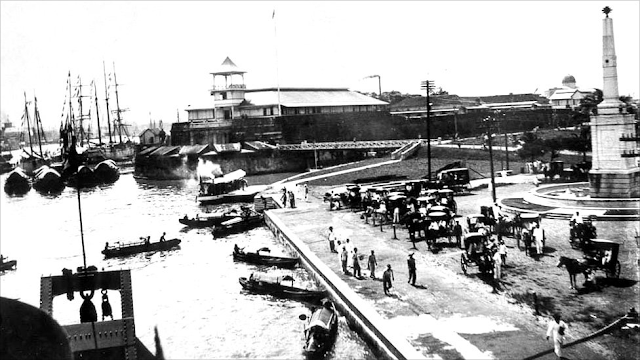 He and his troops were successful in confining the British forces in Manila. On February 10, 1763, the Treaty of Paris was officially signed ending the Seven Years' War. The British forces surrendered Manila back to Simon de Anda in Plaza Sta. Cruz in Manila. The British left the islands on April 1764. He went back to Spain and in 1770, he was sent back to the Philippines because he was appointed governor-general. Notice that the star on top wasn't installed yet. 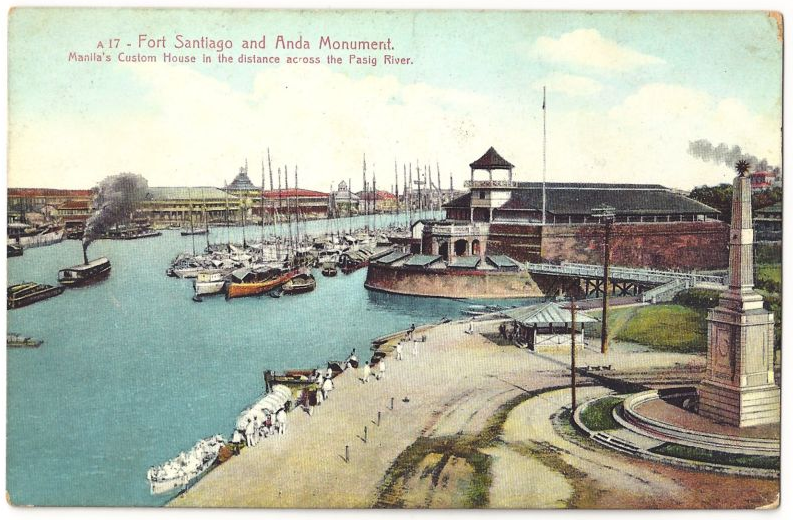 Anda Monument was often photographed alongside Fort Santiago. 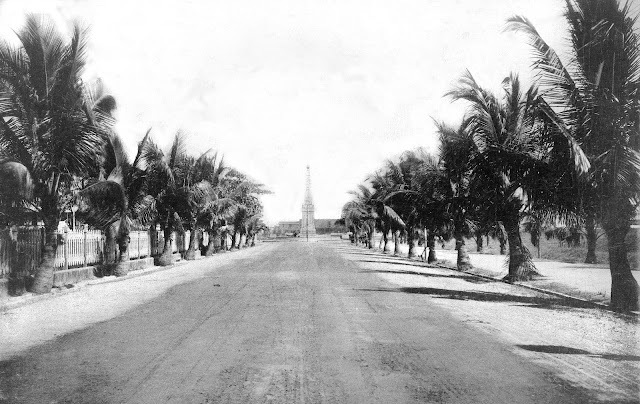 Manila Cathedral can be seen at a distance. 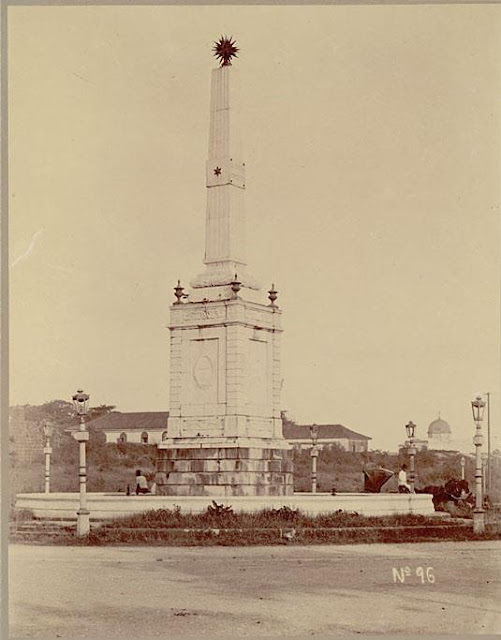 Erected in 1871 through the efforts of then governor-general Carlos Maria de la Torre, the marble monument was originally near the mouth of the Pasig River. The monument greeted travelers coming in and out of the river. 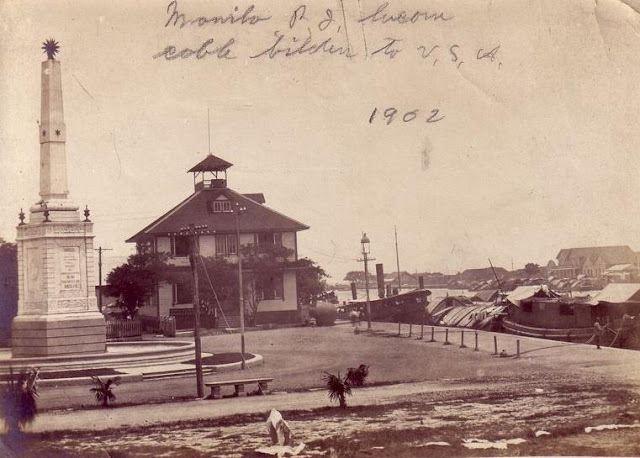 It was moved to its current location in the 60s in the center of the Anda Circle when construction of the Del Pan Bridge (Roxas Bridge today) started. Simon de Anda's legacy is still pretty evident all over the contry. Statues, monuments, roads, and even some towns/cities are named after him. 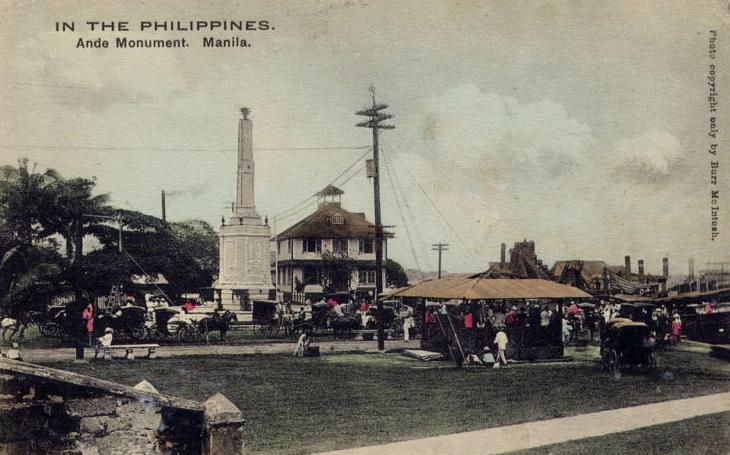 An aerial view of the monument's vicinity. 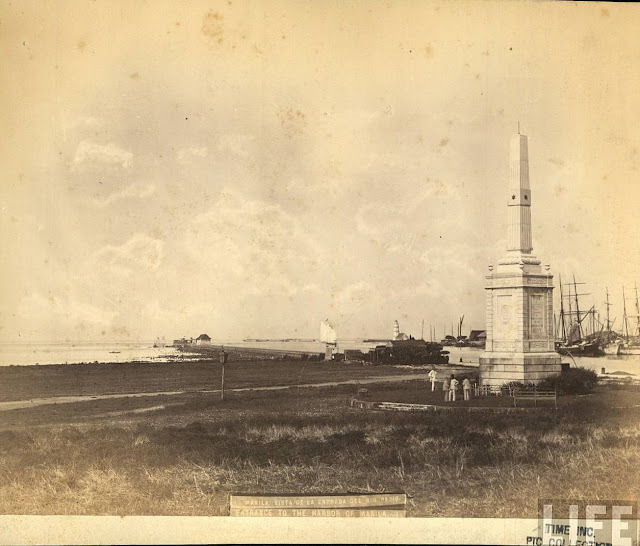 Like many other historical and heritage treasures we have today, the Anda Monument is neglected and ignored. It survived the war but like many other historical sites in the country, neglect and ignorance lead to its further deterioration. I hope the government and the locals would do something to save this monument. It is still here and there is still hope. Let's not take it for granted. I heard from Channel 2 news last week that the Anda monument is slated to be demolished within two months. MMDA, the agency that wanted the monument removed to enlarge the highway said that they consulted the National Historical Commission about the matter and the Commission decreed that the Anda monument is of no historical value thus greenlighting the removal operation. I believe that news segment is still available in the ABS CBN website. Another sad proof of how we Filipinos ignore our Spanish heritage. In a way, it also shows our poor appreciation for our roots. 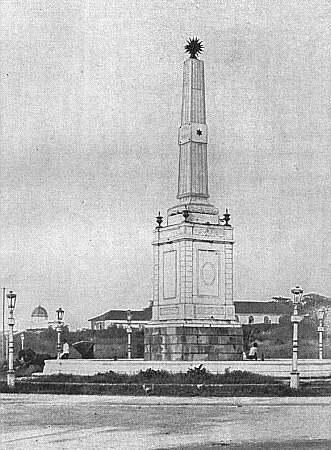 The Anda Monument is still there when I went around Intramuros last December 2016.